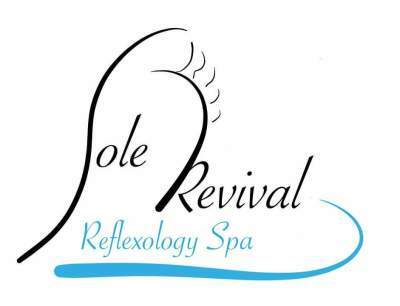 All Reflexology sessions start with a soothing foot bath, foot cleansing and massage, followed by a hot towel wrap. the paraffin to penetrate all seven layers of the skin, while leaving the skin soft. callused skin. The treatment is then followed up with applying scrub and moisturizer. with a healthy life style, helps maintain high energy levels in long term wellness. from the Dead Sea in Israel. Benefits: Eliminates fluid retention, improves inflammation & circulation, detoxifies, alming effect on the central nervous system. Application: Your legs are exfoliated with a solar scrub, our unique mineral rich warm Dead Sea mud is applied to feet and legs. Then wrapped in foil sheet covered in blanket for approximately 15 minutes. The hands are massaged with essential oils. Mud is removed with hot towels followed by Shira-Organic pure aloe & Ginseng anyi fluid gel. A blend of lime oil and sea mixture that uses hot booties, rince and finishing with cream. A foot and leg rub done with real lemon that helps fade hyper-pigmentation scars. includes a lemon scrub mask. leaves in a foot soak. We apply a hydrating pumpkin mask. Penetrating heat from black basalt stone alleviates stress and negative energy. Booking fee of $20.00 is required for all services. To avoid surcharges, please allow a 10 hour notice for cancellation or change. on-site services for non ambulatory clients.